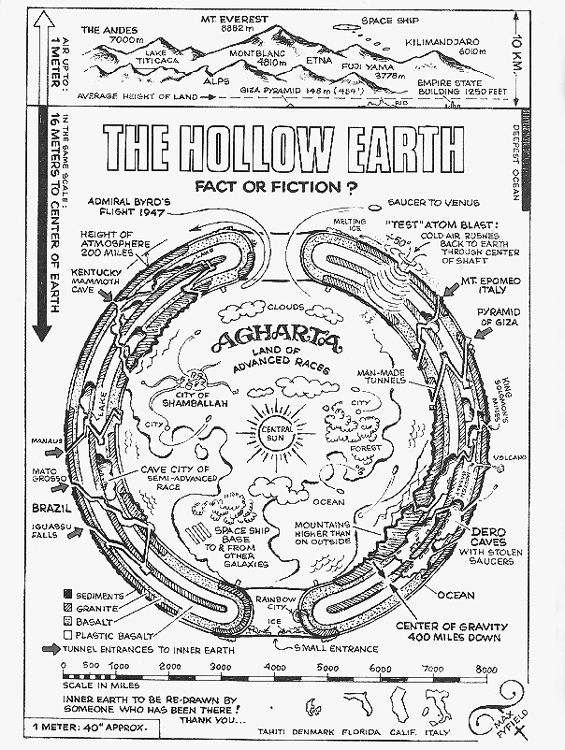 The image below is an illustration of "The Hollow Earth" by Danish artist Max Fyfield. If you click on it a window will pop up with a larger version. Grandfather Martin suggested that those who are to be surviving the Great Purification might do so by going for safety into here. 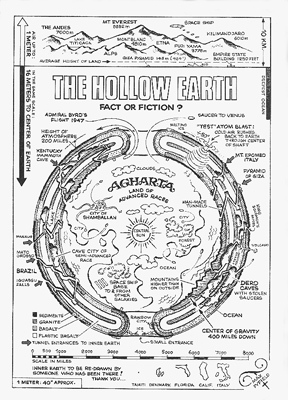 As you can see, this map shows an "inner world" under the surface of the Earth, with a Central Sun at its core, the goal of the spiritual journey. This hidden realm is also shown to be the true location of the mythical city of Shamballah. I mentioned earlier that in Hopi belief the two poles of the world are occupied by the twins Poqanghoya and Palongawhoya. Another Hopi story tells how, upon our emergence into the present world, there were two brothers who separated and departed in opposite directions to make their migrations across the face of the earth. The Hopis identify the Native American people with the Red Brother, and their prophecies say that in the End Times the True White Brother will return and the brothers will be reunited. This process has already begun -- the Great Purification already started.